'It is brilliant: her finest book yet' Anne Enright'A triumph' Joseph O'Connor'Fresh and raw and completely entrancing' Sara Baume'Powerful' Edmund WhiteAlice, a young American on her travels, arrives in the West of Ireland with no plans and no strong attachments - except to her beloved mother, who raised her on her own. She falls in love with an Irishman, marries him, and settles down in a place whose codes she struggles to crack. And then, in the course of a single hot summer, she embarks on an affair that breaks her marriage and sets her life on a new course. After years working in war zones around the world, and in the immediate aftermath of her mother's death, Alice finds herself back in Ireland and contemplating the forces that led her to put down roots and then tear them up again. 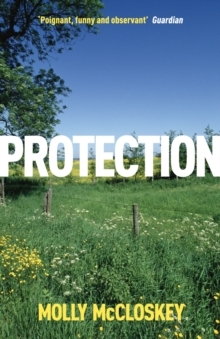 What drew her to her husband, and what pulled her away? Was her husband strangely complicit in the affair? Was she always under surveillance by friends and neighbours who knew more than they let on? 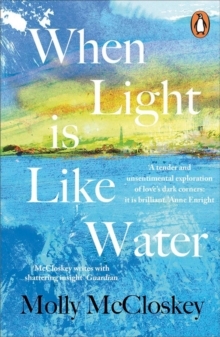 In spite of its lyrical title and exquisite prose, When Light Is Like Water is a brutal examination of sexual self-delusion. McCloskey's novel is packed with wisdom, and never heavy-handed with it. Fans of Anne Enright will find much to admire and enjoy.' Daily Mail'Luminous' Irish Times'McCloskey has the observational eye of the outsider, able to pinpoint the intricacies and mannerisms of the Irish people and landscape. ... But the writing's the thing. Oh, the writing. McCloskey is the master of the metaphor, the doyenne of the deceptively simple sentence. ... Hers is a wondrous turn of phrase, and yet somehow it makes Alice's life and interiority seem all the more real' Sunday Business Post'A delightful fish-out-of-water account stitched together with gentle yet wondrous prose' Irish Independent Books of the Year'When Light is Like Water is as gripping as a memoir and as intimate as a poem. 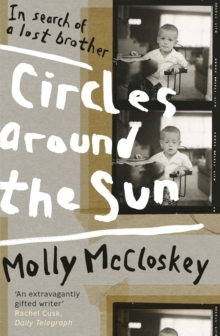 Molly McCloskey has written a novel that is both urgent and reflective, a tender and unsentimental exploration of love's dark corners. It is brilliant: her finest book yet.' Anne Enright'Molly McCloskey's prose has such immense authority, precision and seriousness. This shimmering, beautiful,restless work will stir recognitions without seeming to try. If you've ever fallen in love with someone you shouldn't have fallen in love with - as who hasn't, once or twice - be prepared to encounter the novel as mirror, her finest book to date, a triumph.' Joseph O'Connor'McCloskey writes with such care and craft; every description of the landscape of the west and the life of her captivating narrator is imbued with poetry and truth. When Light is Like Water is fresh and raw and completely entrancing.' 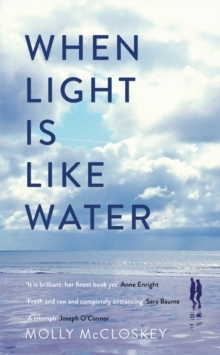 Sara Baume'I loved When Light is Like Water. It is absorbing, tense, and beautifully written. Molly McCloskey has written a wonderful novel.' 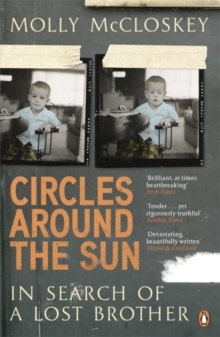 Roddy Doyle'This is a short but powerful novel about love - love for a mother, love for a husband, love for a lover. In writing that sparkles with intelligence and insight, the ordinary moments of everyday existence are charged with a beauty and tenderness that render them only just bearable' Mary CostelloPraise for Molly McCloskey:'An extravagantly gifted writer' Rachel Cusk, Daily Telegraph'One of our finest writers' Colum McCann'Every once in a while, a writer's voice hits such a clear note, the resulting book has the kind of sweetness that makes you hold it in your hands a moment before finding a place for it on your shelves.